Four high quality alloy load cells ensure that the unit is completely accurate within its full load range. 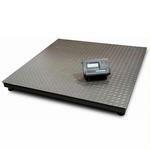 Large deck measures 4 x 4 – ideal for standard pallets. 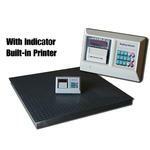 Easy to read indicator with large LED display – equipped with a rechargeable battery as well as a 15 foot cable to ensure safe, accurate readout. Tare function covers this versatile unit’s full capacity range. Counting function enables workers to focus fully on the job at hand rather than being overly concerned with count. Safety matters! 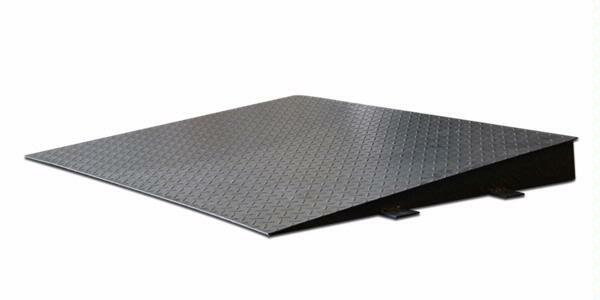 The DWP-R Series is available with an optional ramp. This is an excellent all-around floor scale that is easy to operate. Rechargeable battery with charger included.